The first time we visited London, several years ago, we decided to check out this small museum. It was once the home of Sir John Soane, a great English architect. To be honest, at the time I wasn’t all that interested, but my husband thought it would be fun to see an actual home rather than another art museum. 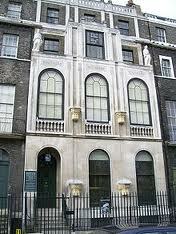 My memory of that first visit was limited to the famous Hogarth paintings in Soane’s collection. The risqué ones, known collectively as A Rake’s Progress. When we were there the first time, I’m sure they were hanging on the walls for all to see. Now they’re in the Picture Room, with one hundred or so other paintings. The walls are moveable, “hinged screens,” and only a small number of paintings are on view. At certain times, one of the guides opens up the screens to reveal the other paintings. A Rake’s Progress is not on view unless those screens are open. Apparently, this was the arrangement of the pictures at the time of Soane’s death. This visit was very different from the earlier one. 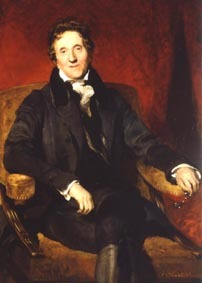 Although Sir John Soane was born before and lived beyond, his life spans the Regency. My interest was piqued, because I’d been doing research on that period. The façade of the house reflects Sir John’s interest in Neo Classical design, with its simple, elegant geometric shapes. 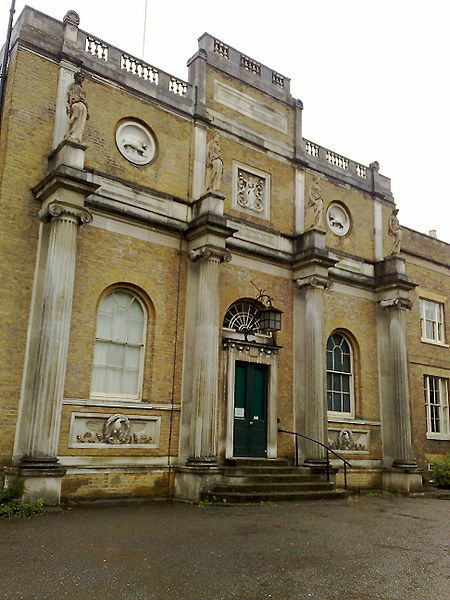 Collecting classical antiquities was at that time a popular hobby among those wealthy enough to do so; Sir John Soane undertook this at a level few could equal. The museum boasts a collection of antique marble fragments, collected in and around Rome; two Apulian vases from the fourth century; a female torso from a temple on the Acropolis (fifth century), and casts of many other statues of Greek or Roman origin. One of the most impressive pieces in the museum is the sarcophagus of King Seti I (1303-1290 BC). It’s covered with hieroglyphics, which were “undeciphered” in Soane’s time. It’s now known that they tell the story of the soul’s passage to the underworld. Sir John’s most famous building is the Bank of England, but he designed many other public buildings and private homes as part of his architectural practice. In the final room on the tour, the Drawing Room, there’s a portrait of Sir John’s two sons. Sadly, his older son died young; and George, the younger one, led a debauched life and ridiculed his father’s work in a couple of newspaper articles. In the portrait, the brothers look like a couple of Regency “bucks,” carefree and cheerful, and one would never guess the unhappiness to come. The museum has undertaken a project “…to restore, refurbish, and improve Sir John Soane’s Museum…” It’s called “Opening Up The Soane 2011-2014.” On the web site, you’ll find lots of information about the museum. Much of the information in this post I learned on the tour of the home, from the very helpful wardens; and from the booklet, “Sir John Soane’s Museum London,” which I purchased on site.